The Salt Lake City-based Summum wants to erect its “Seven Aphorisms of Summum” monument in the [Pleasant Grove, Utah] city park. The Summum, formed in 1975, say the Seven Aphorisms were given to Moses on Mount Sinai along with the Ten Commandments. Moses destroyed the tablet containing the aphorisms because he saw the people weren’t ready for them, the Summum say. The Summum argued, and a federal appeals court agreed, that Pleasant Grove can’t allow some private donations in its public park and reject others. The court seemed to be more critical of the Summum’s argument, but of course you never know. 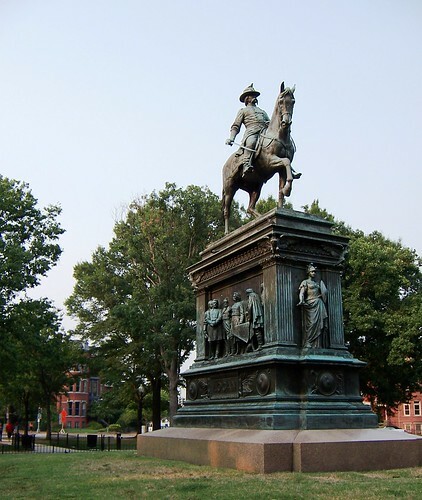 Supporters of the city worry that a decision against it would allow anyone to erect a monument in a public park, including people with hateful points of view, or lead to the removal of war memorials and other longstanding displays. This is because the case is about free speech rather than freedom of religion. The point is that the government is accepting speech from a private group, and then must allow other groups speech also. Many “friend of the court” briefs have been filed on the side of the city. This might be one of the more interesting and somewhat strange cases heard by the Court getting this much news.